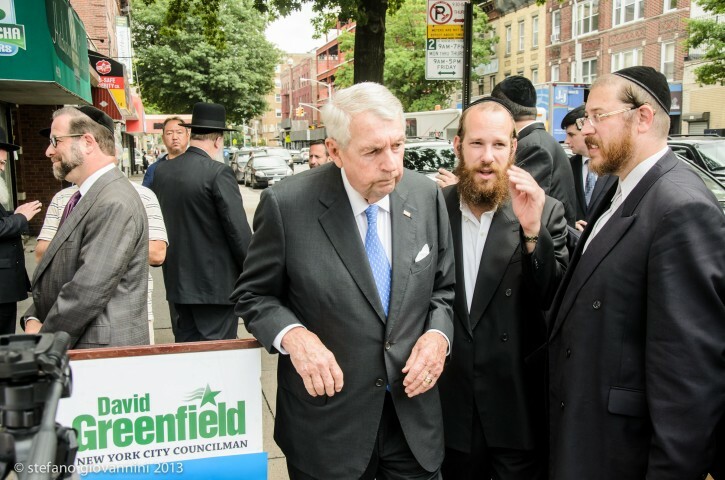 Brooklyn, NY - New York City Councilman David G. Greenfield announced this morning outside his Borough Park district office his support for the reelection of Kings County District Attorney Charles Hynes in this September’s Democratic primary election. 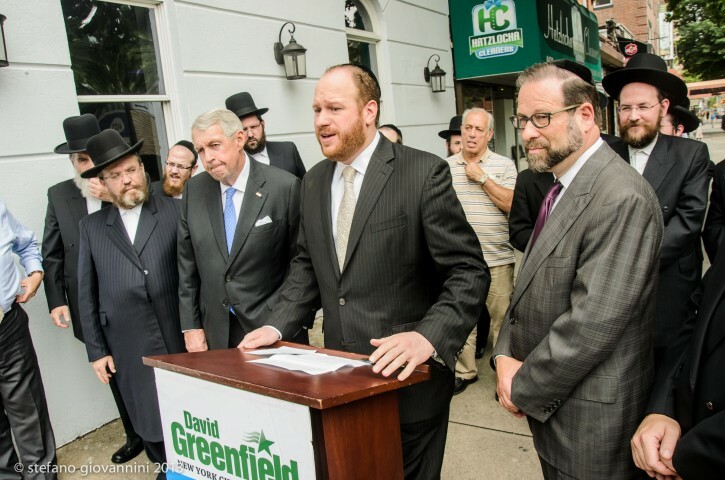 Joining Greenfield were a few community leaders from the Orthodox Jewish community. This is a tough election decision to make. 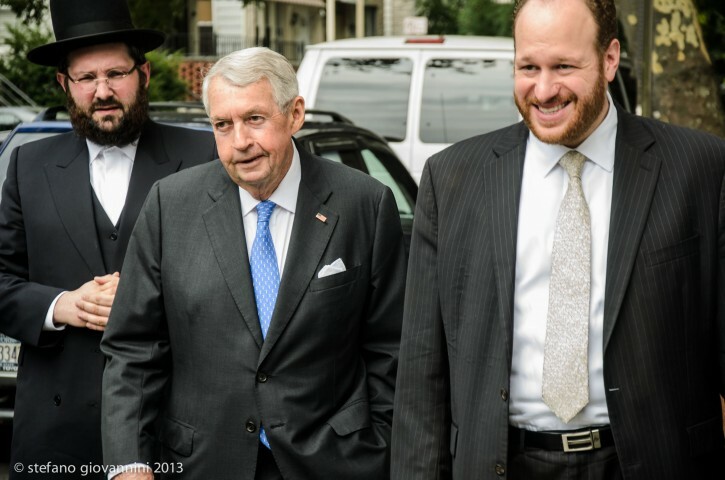 On one hand many in the orthodox community are extremely upset at Mr.Hynes how he handled the Weberman case.Calling a community "mafia" and throwing a man in jail for life.Even if true what that person did as an observant Jews we are not allowed to put away a man.By voting for Mr.Hynes we show our support for a man who threw away a fellow yid in prison. But on the other hand we have a whole bunch of lowlife frum and non frum activist who made it as a life mission to accuse,defame,slander the entire worldwide orthodox community as child abusers.They are upset that Mr.Hynes doesn't lock away more fellow Yidden.They are upset that Mr.Hynes doesn't arrest rabbonim who say that Mesira is not allowed.They are in the forefront to kick out Hynes therefore we need to vote for Hynes just to show those activist will not lead us.Many of those activist have extremely fowl profane language. Dam if you do dam if you don't. Will VIN have the guts to post my comment? Our choice is between bad and worse. He has hurt many yidden in the last couple of years. Arresting fathers in front of their children for cases that will fall apart, and pursuing charges against others that have already been shamed, did time. On other hand what's the alternative? I assume that the reason for making such a production out of this endorsement is to counter Dov Hikind's endorsement of Mike Thompson. “ This is a tough election decision to make. Here are some hair-raising details that were admitted and or proven at the Wbmn trial that you obviously didn't hear about. 1) He violated Hilchas Yichud on a daily basis. 4) Unsupervised sessions lasting many hrs. For you to make as if Wbmn was a Lamed Vav Tzadik when in fact it was proven that he was far from one is simply ridiculous and very painful to his many victims. What are you talking about? One is running or Mayor, the other for DA. From which Planet are you coming from??? For all the vicious Intimidation & Rishas that the Webermans supporters did against the victim's family the title Mafia is still gold. They opened another phone book directory business just to destroy the father's Parnasa. They held a massive fundraising event even with many leaders and Rabanim knowing about Weberman's behavior from over the years. And the Rishas went on and on. And for the record, our children are much safer today all to the credit of the activists that pulled the matter from deep under that dusty old rug. Please educate yourself before posting a bunch of non-sense!! I've known Joe Hynes for ovber 20 years and strongly support him. He is a moral religious man who speaks honestly, even when people don't like to hear what he has to say. Hynes has also been very accomodating to the needs of his frum staff members and understands our community. I may not agree with him on everything, but he's one of the few elected official whom I respect, and I've dealt with dozens of them. Yep,the activists are out of the woodwork in full force defending their tactics. Like it or not MOST fellow Jews will not vote for whom you chevra pick.We know many of those activists who according to the gemorah are Menivolim. According to the Shulchan Aruch and Poskim there is no bigger sin than Mesirah. What should be done to a Moser is clearly stated which has no comparison to any other sin. Not Rabbi Horowitz or Rabbi Rosenberg can pasken delicate stuff like Mesirah.They are nothing more than ACTIVISTS. Things like these like it or not must be paskend by qualified Poskim on case by case basis. You activists are not out to help children.You are out for Jewish blood. “ Yep,the activists are out of the woodwork in full force defending their tactics. Post 8 I disagree with you! Many Rabanim have already paskend that an abuser has a din Rodeph! Mesira doesn't come into the picture. Your ignorance and insensitivity to victims of abuse will not stop any1 from seeking justice and keeping our children safe in our circles. Like it or not, These days abusers are thinking twice before preying on their next victim, all Thanks to the activists that are not intimidated by twisted Halacha quotes coming from ppl like you, and continue to do what's right! Enough is enough, the games are over! You are not exactly right - even those rabonim who entertain mesira it is only in a case that is current and that there is raglaim ledavar that something is currently going on which must be stopped. NO MESIRA IS ALLOWED FOR RESTITUTION AND PAYBACK - the torah's allowance to preemptively kill a rodef is only when there is a known imminent danger. The mesira in webermans case had no halachic backing - as no proof of an imminent threat was discussed or presented. He has had people rearrested to introduce new charges on the day of their childs wedding, he has a hart of stone! Webberman acted as a community Therapist/counselor without any sort of qualifications other than a Sweet manipulating mouth. Which means he was he was an imminent threat to society. So even according to you he had a clear din Rodeph. Just that u have the facts, it landed up in court thanks to Weberman himself, when he got the victims first Bf arrested. He played a dirty game and lost! You claim there was no Halachic backing in the Weberman case. Let me ask you a question, if you were a respected Rov in Willy would you have gotten involved? With all the intimidation threats terrorism and blackmail that went on no normal Rov in his right mind would have the Guts to back the victim. The only one that was not afraid to talk the truth was R' Yankel Horowitz, I respect him for that! He spoke to more victims and didn't stand for any nonsense. It was clear as day that we were dealing with a real Rodeph. The biggest prove that the Rabbanim in Williamsburg knew the sad truth is that they didn't even call R' Horowitz to challenge him in any way. Crooked Halacha can confuse some ppl sometimes but not everyone all the time! I'm reading your comment and wondering why the Weberman issue is a Rabinical or Halacha matter? If you are sick you go to a doctor, if you need to buy groceries you go to the supermarket, and if you believe your child was abused by someone you go to the police. What in the world will a Rav do if you reported the abuse it to him? There is 1 point what we are missing in this whole story of Greenfield Endorses DA Hynes, The whole reason why he's endorsing him have nothing to do with what's good for the community, nothing with if its right what Hynes is doing or not, If you should report sexual abuse or not. 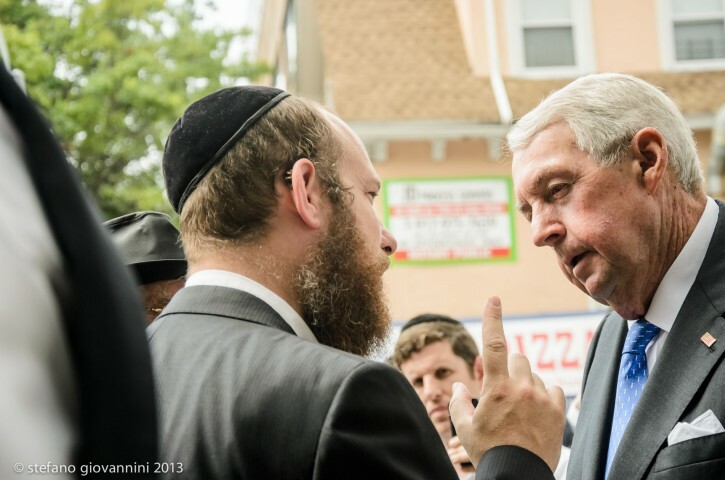 The ONLY reason why he's endorsing Hynes is because Assemblyman Dov Hikind endorsed Ken Thompson. Its all about stupid politics who should be stronger. Let's have it all clear it have nothing with what's good for us/community its just Hikind endorsed 1 thing I will do the opposite.